This is Sue Heydon from our Finance Department. Sue retired after 50 years in May. 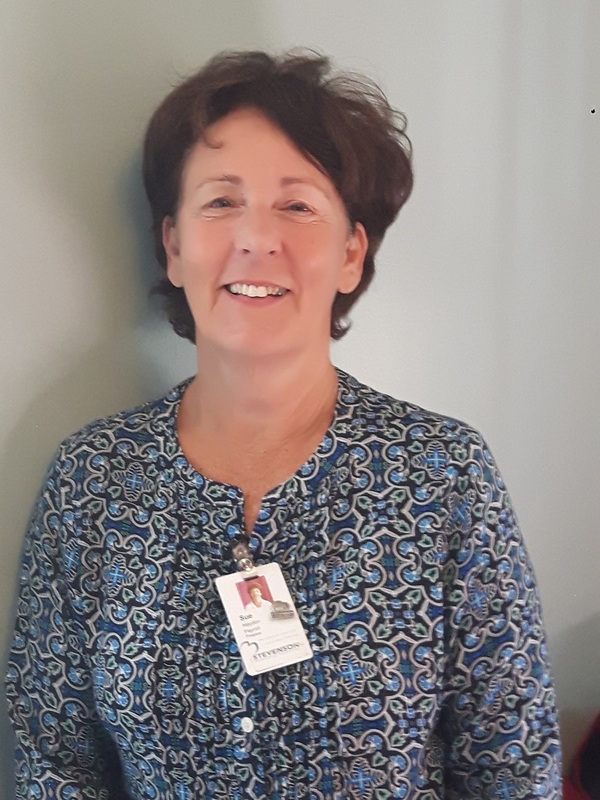 Sue started working in the laundry department at SMH when she was just 17-years old and she has worked in almost every department at SMH including the lab, the emergency department, central supply sterilizations, ward clerking and eventually she was in the maternity department for 11 years. After Sue’s time in the maternity department, she moved to the switchboard, scheduling, HR and most recently she’s been in the payroll department for the past 12 years. For Sue, SMH has always been a way of life (she even met her husband John here at SMH!) and she’s so connected to our hospital and our community that she’s planning on volunteering in the future. Thank you Sue for your incredible dedication, hard work and commitment!